As we enjoy the opportunities for worship, education, fellowship and service which abound here at the Manville Reformed Church, let us remember thankfully those who have gone before us for their diligent efforts in growing and sustaining this congregation. 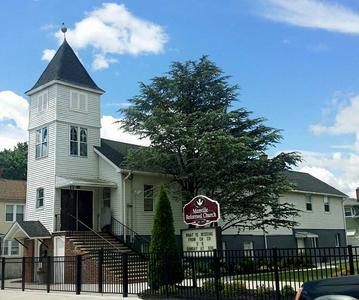 Our church was founded in 1915 by Hungarian immigrants who came to Manville to work at Johns-Manville. Through the years, membership has increased to include a variety of ethnic backgrounds. We continue to follow God by living faithfully as his people in this Christian community. We pray that together we may continue to grow in our understanding of who Jesus is and what he has done for us, and to reach out into the community and draw others into his love and this fellowship.